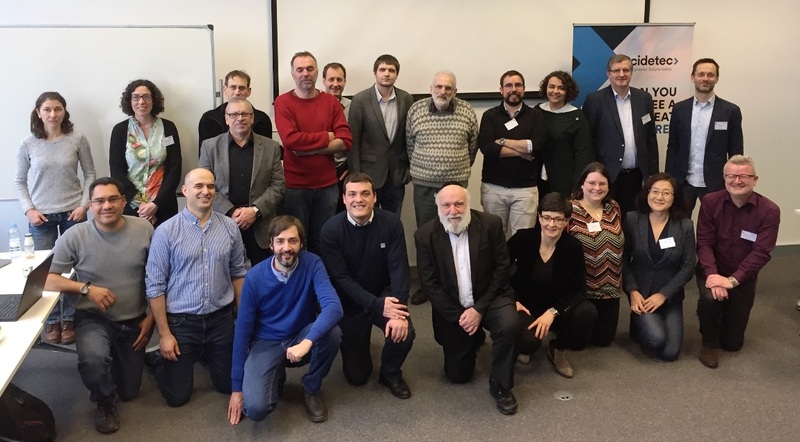 This January, the project partners participated in the kick off meeting of the project at the Fundación CIDETEC, in San Sebastián, the project coordinators. 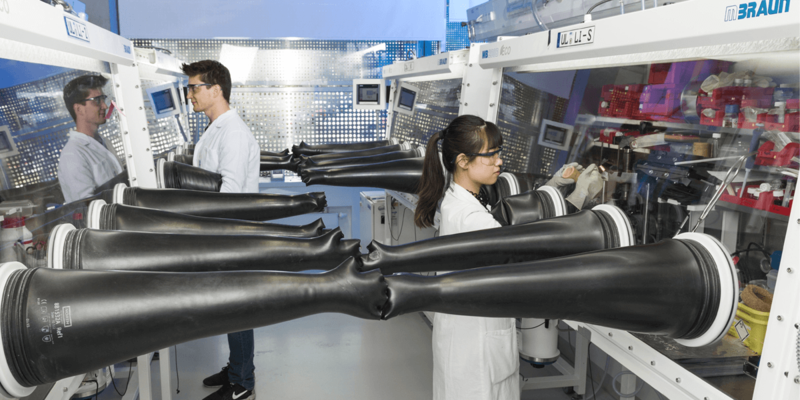 The project, which will run until the end of 2022, brings together the expertise of a total of ten scientific institutions, including the Institute of Materials Science of Barcelona (ICMAB-CSIC), with M. Rosa Palacín leading this part. More powerful, cheaper and safer than lithium-ion batteries: These are the targets that the scientists hope for from the magnesium battery project. Magnesium as an anode material enables a higher energy density and would also be much safer. Moreover, no dendrites form on the magnesium anodes, in comparison to lithium, in whcih such electrochemical deposits on the electrodes can form needle-like structures and cause disturbances or even dangerous short circuits. Therefore, the metallic form of magnesium can be used, which increases the performance of the battery. Last but not least, the most important thing about magnesium is that it is around 3,000 times more abundant on earth than lithium, and is significantly easier to recycle. Energy storage is a key technology to facilitate a widespread integration with the growing use of intermittent energy sources in power grids, there is a growing mismatch between when energy is produced and when it is consumed. This has led to the need of energy storage or demand-response systems in order to use the energy in a balanced and efficient way. Given this context, the Micro Energy Storage (MES) systems are expected to seek radically new approaches to supply energy where it is needed. Buildings are becoming a local use micro energy-hubs consuming, producing, storing, supplying energy and having the potential to take up an important role in the power-supply system stability which generate energy with renewables, provide storage for electric and thermal energy and deliver demand response. For Micro Energy Storage in Buildings (MESB) using stochastic renewables energy, the most suitable technology is the lithium-ion batteries (LIB). However, current LIB technologies are facing severe challenges in safety, energy density and price. While most of today's R&D is concentrated on LIB systems, shifting towards non-lithium rechargeable batteries may open up effective ways to overcome such challenges. The rechargeable magnesium battery (RMB) constitutes a paradigmatic example of such promising, alternative non-lithium energy storage systems, following pioneering efforts and breakthroughs from world-wide researchers. The potential to use metallic magnesium anodes in rechargeable batteries brings important advantages in terms of energy density, cost and safety. E-MAGIC gathers the key scientific and technical researchers in Europe to develop the required new frontier knowledge and foundational approaches on RMB, bringing an effective work on R&D by a rational design of high voltage/high capacity cathode materials and novel electrolytes to overcome the rate-limiting reaction and transport processes, in order to deliver a safe RMB with more 400 Wh kg-1 and less than 100 €/Kwh.